Posted by Editor at 7:42 PM . 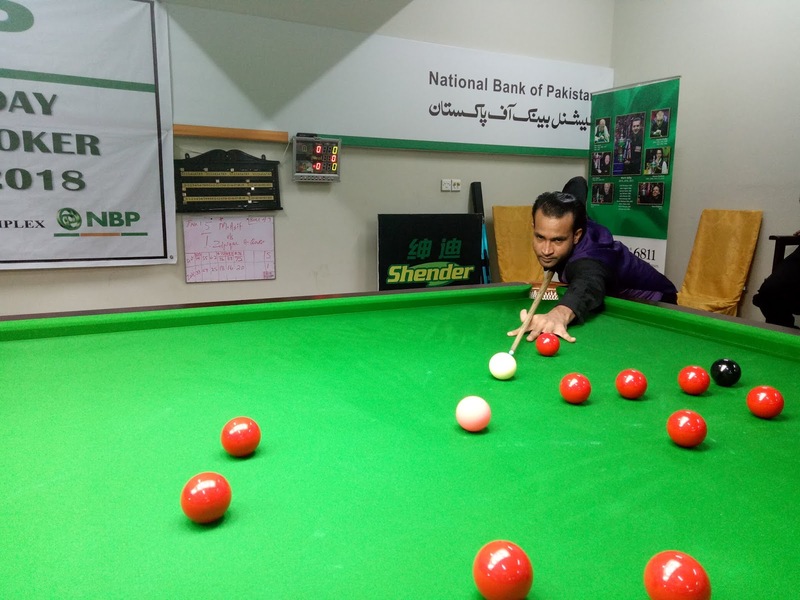 Giant-killer Muhammad Ijaz staged an incredible fightback to stun third seed Babar Masih in the marathon final of 10th NBP Ranking Snooker Championship 2018 at the NBP Sports Complex in Karachi on August 13. Trailing 2-6 in the best of 15-frame encounter, the unseeded Ijaz, making his maiden appearance in the final of any national ranking tournament, pulled it back dramatically to win the all-Punjab final 8-6 with the scores of 43-63, 78-42, 21-83, 39-93, 94-20, 20-79, 58-67, 17-57, 68-45, 58-51, 56-40, 62-1, 58-02, 77-50. Hailing from the city of Sargodha, the 30-year-old Ijaz, younger brother of Muhammad Sajjad, the three-time national champion and a former world number two, who was also watching the final, kept his cool and never lost belief in himself. “I was indeed concerned at having gone to interval 2-6 down. But I kept saying to myself that it’s just matter of one frame to turn the tables. Thankfully I won the very first frame after resumption and I didn’t let the momentum slip out of my hands. Indeed it was a very tough match for me but honestly I never lost hope,” Ijaz remarked in a brief conversation soon after collecting the first national ranking title. The 31-year-old Babar, a seasoned cueist from Rawalpindi, was disconsolate for obvious reasons at having let the trophy get out of his hands from a vantage position. “Oh yes I really don’t know how it happened. I was supremely confident about running away with the title when the interval was announced at which point I was leading 6-2. It looked a matter of time for me to complete my victory. But I was unable to exercise much control in the latter half of the match as I ran out of luck. Indeed it’s disappointing to have lost the match which I should have won comfortably,” he regretted. The first half of the final was all about Babar as he fired breaks of 62 and 81 in successive frames to establish his dominance. Ijaz did win second and fifth frames but he seemed down and out when his opponent won the next three frames on a trot to move 6-2 up. But the story changed in the second half which was all about Ijaz as he pulled it back magnificently and all attempts from Babar to stop the carnage didn’t yield results. Ijaz emerged as the deserved champion in the end, signing off with a superlative break of 54 in the 14th frame. Saeed Ahmed, President and CEO of National Bank of Pakistan (NBP), who was the chief guest in the prize distribution ceremony, presented a cheque of Rupees one lact to Ijaz alongwith the glittering trophy. 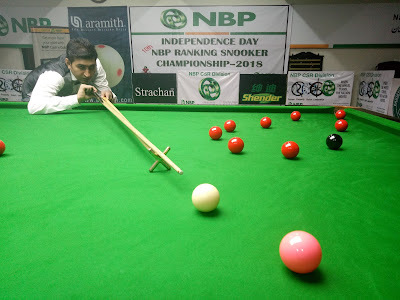 Babar had to be content with a purse of Rupees forty thousand with the runner-up trophy while top seeded Muhammad Asif, who was edged out by the eventual champion in the semifinals, collected the award of Rupees five thousand for registering the highest break of the nine-day event (138). Munawwar Hussain Shaikh, President, Pakistan Billiards & Snooker Association (PBSA) and Alamgir Anwar Shaikh, Co-Chairman, PBSA, addressed the ceremony which was also attended by the top NBP officials, including Iqbal Qasim and Shaukat Mahmood Khattak.